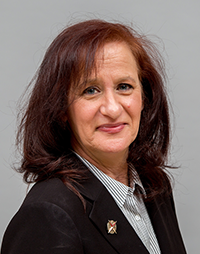 Tammy has been involved with real estate for over 6 years, specializing in landlord and tenant representation, Buyer Acquisition and Seller Disposition of property assets. She brings a strong background in both local Mom & Pop operations as well as franchise expansion. Tammy brings to Arrow Real Estate an extensive and diverse marketing background, with over 15 years advertising and marketing sales based out of NYC. Tammy believes in doing business the “old fashioned way”, face to face. While current on the latest technologies available for keeping in touch with her clients, Tammy’s hand shake and her word can be counted on as much as her signature on any dotted line. She believes that the only way to be successful in business is to make sure her client’s are successful in each of their transactions. “Client’s needs first” ensures success for all. “Sales are about listening, not selling”. Hearing the needs of our clients is what sets us apart as professionals. Tammy is a mom who lives in Washington Township, Gloucester County with her husband John and their two sons John M. and Greg. She enjoys cooking, golf, the beach and quiet days in small town neighborhoods. She believes that beauty is built from within, and life should be lived the same way. Her strong base in helping others achieve their goals has carried her far throughout her career. Let her help you achieve yours.